Let’s talk about a different kind of labor on Labor Day weekend, the kind that delivers babies, and an order issued this past week by the U.S. Court of Appeals for the Seventh Circuit in Chicago. The case is styled Arroyo vs United States, and I want to focus on the concurring decision by Judge Richard Posner. The appeal involved a question of whether a malpractice lawsuit was filed by the Arroyos after the statute of limitations had run out. The statute exists to prevent “stale” lawsuits, those filed years after a reasonable period of time. It makes sense to have such a statute of limitations, in that defending a case gets progressively difficult as years go by: Memories fade and potential witnesses become unavailable. The Court ruled for the Arroyos, based on the fact that it would have been unlikely for them to have understood that malpractice might have occurred during the aftermath of their baby’s birth. It therefore allowed the case to proceed. 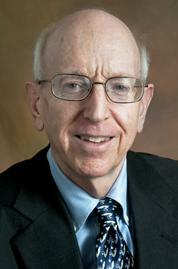 Judge Posner, one of the world’s most distinguished legal scholars, issued a concurring decision that is interesting in its implications, were it to be come the law of the land. He said that, had the hospital given full disclosure of the medical error at the time it occurred, the start of the clock for the statute of limitations would have begun sooner. He asserted that the current standard of medical care envisions the ethical duty of such disclosure, and that failing to offer it cannot be used as a defense against a stale malpractice lawsuit. Many of us have talked about the wisdom of early disclosure and apology. It is an essential component of respectful and compassionate care. In practical terms, it also reduces the risk of the kind of anger and distrust that leads to malpractice lawsuits or unreasonable demands for financial damages. But Judge Posner offers an additional incentive. And he raises the issue to a new level by claiming that disclosure is an ethical duty inherent in the legal review of this type of matter. I need to make clear that I am discussing only the standard for determining when the statute of limitations begins to run, not the standard of care.Kubrick holds that the statute of limitations begins to run in a malpractice case when the plaintiff either discovers, or if diligent would have discovered, that he has been injured by the (at that point merely potential) defendant, and not when the plaintiff discovers or should have discovered that his injury was the result of negligence. This is not only the law; it is sensible. Even unsophisticated people, when they learn that they have been injured by a physician rather than (just) by the condition the physician was (or should have been) treating, should know that there may have been malpractice, and so should consult another physician, or other medical person, or a lawyer. …Had someone informed the Arroyos that it was “highly possible” that the injuries to their child had been caused by the failure to administer antibiotics to Mrs. Arroyo, the statute of limitations would have begun to run then, just as in Kubrick. For they would have known, or in the exercise of reasonable diligence (reasonably understood in light of their socioeconomic position) should have known, that a cause of their child’s injuries might have been the failure of the doctors to administer antibiotics to Mrs. Arroyo; given that information, they would or should have known enough to consult a lawyer or other expert. That may be asking a lot of them; but to ask that they have suspected malpractice in the absence of any disclosure of the possibility of an iatrogenic injury would be to ask too much. …[I]f the Erie Family Health Center (or its backer, the United States) wants to avoid being hit by stale malpractice suits, it has only to level with patients (or in the case of a child, the patient’s parents) concerning possible causes of a medical injury. When the Arroyos’ child was discharged from the hospital with brain injuries two months after his birth, the Center’s physicians told the parents only that their child’s injuries had been caused by an infection that Mrs. Arroyo had transmitted to him during his birth. They said nothing that might have alerted the Arroyos to the possibility that a medical act or omission had contributed to the infection. The physicians did not have to confess liability; indeed, at the trial the defense presented respectable evidence that there had been no negligence. All the Center would have had to do was give the Arroyos a reasonably full account of the circumstances of the child’s injuries — that antibiotics could have been administered to the mother before the birth and to the child immediately after and that had this been done the injuries might have been averted, or been less serious. …“According to recent codes and guidelines . . . individual clinicians and institutions have an ethical responsibility to disclose unanticipated negative outcomes. Respect for personal autonomy entails disclosure of what occurred — even if no further medical decisions are involved — and of options to take nonmedical actions, including legal actions, if appropriate.” Tom L. Beauchamp & James F. Childress, Principles of Biomedical Ethics 294 (2009); see also American Medical Association ,Code of Medical Ethics: Current Opinions with Annotations § 8.12, pp. 141-42 (1998). If a patient dies as a result of his physician’s failure to diagnose a readily diagnosable, and if diagnosed readily curable, condition, such as appendicitis, it is a deceptive half-truth to tell the grieving spouse or parents that the patient died of appendicitis; the patient’s death was jointly caused by appendicitis and medical negligence. Compliance with the ethical duty of disclosure of possible medical errors in simple, intelligible terms would give medically unsophisticated plaintiffs enough information to recognize that medical decisions might have contributed to their injuries. …I am not arguing that a breach of the ethical duty of disclosure is itself malpractice, although it could be if it prevented the patient from obtaining medical treatment that would mitigate the consequences of the original medical error. I am not arguing that the disclosure must go beyond an acknowledgment of the possibility of medical error and become a confession that there was a medical error; or that a doctor is required to explain that additional treatment might have avoided the patient’s injury if failure to provide that treatment would not have been negligent, because of the expense, side effects, or uncertain benefits of the treatment, as when a patient suffers an injury that would have been prevented had the doctor performed a battery of painful and expensive experimental tests. But if a potential defendant in a medical malpractice suit wants to take advantage of the statute of limitations he should have to disclose information known to him that would alert the patient to the possibility of an error. By doing that he can be sure that the statute of limitations will begin to run immediately . . . and not years later. What and why due to this? 2) is this another form of social justice as the judge stated the socioeconomics of the family suing? It is always tragic when these things occur, especially to a child, but does anyone ever look to it’s impact on the system as well as on the family? Isn’t that the who social justice thing?